Putative nucleoside deaminase. May catalyze the hydrolytic deamination of adenosine or some similar substrate and play a role in purine metabolism. 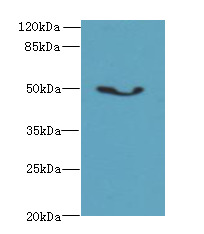 ADAL Polyclonal Antibody. Unconjugated. Raised in: Rabbit.